Who will win Tuesday’s US presidential election? 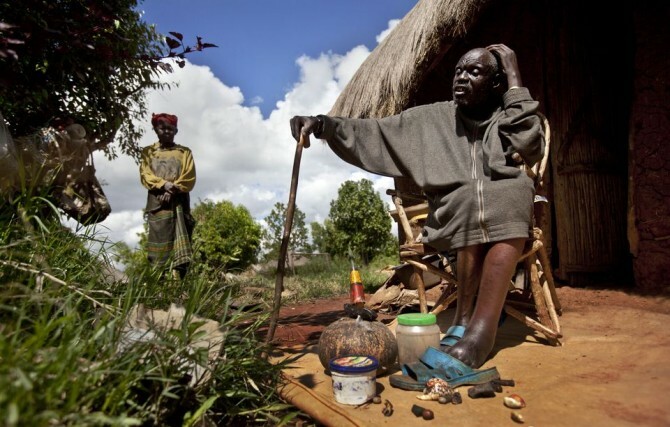 That’s the million dollar question a witch doctor in President Barack Obama’s ancestral village in Kenya claims he can answer. It’s not a surprising result in Kogelo, Obama’s late father’s hometown in western Kenya and where expectations of another Obama election victory were high on Monday. Most Kenyans consider Obama, the son of a white mother from Kansas and a black father from Kenya, as one of their own. Barack Obama has five Kenyan half-brothers and a half-sister.